One of the complications synonymous with Cartier, starting with its iconic mystery clocks, the Mysterious Hours is now found in the Clé de Cartier, a cushion shape distinguished by its key-shaped crown. 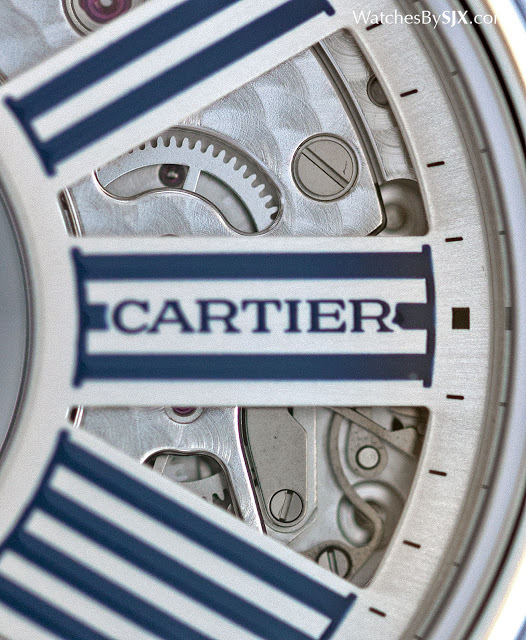 Unveiled just earlier this year, the Clé is Cartier’s newest case design. A gently curved affair, the Clé de Cartier was only available as a simple, time-only wristwatch until recently, when the Clé de Cartier Mysterious Hour was introduced. The second mystery hours wristwatch after the Rotonde de Cartier Mysterious Hour from 2013, the new Clé de Cartier is equipped with the same cleverly constructed calibre 9981 MC that has hands seemingly floating over nothingness. 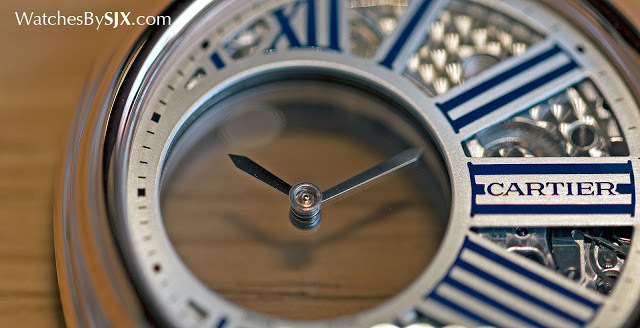 One of the most famous of Cartier’s timekeepers, the Cartier mystery clock made its debut in 1911 with the Model A. Almost completely transparent, being made of rock crystal, the Model A is arguably the quintessential mystery clock. Originally invented by a Parisian magician turned clockmaker in the 19th century, the mystery clock then evolved into the mystery wristwatch. The Clé de Cartier Mysterious Hour operates on the same principles that have defined this genre of watchmaking. The hands are mounted on a pair of clear sapphire discs with teeth on their edge. Those teeth, which are hidden underneath the dial, mesh with the gear train of the movement. Thanks to mechanical contortions, the movement is crescent-shaped, compact enough to occupy less than half the space inside the case. Though simple, displaying only the hours and minutes, the movement is an ingenious construction. At 41mm in diameter, the watch is modestly sized but still notably bigger than the time-only version of the Clé de Cartier. 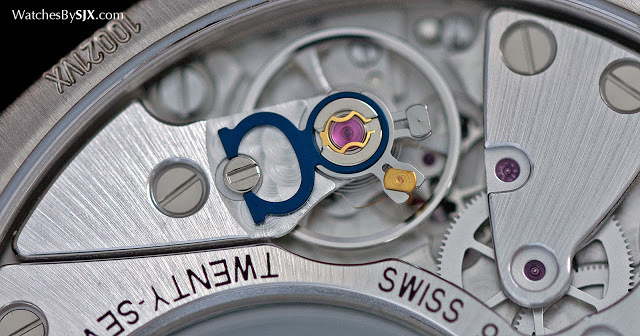 Though the movement occupies most of the case, most of the movement footprint is taken up by the sapphire discs for the hands. 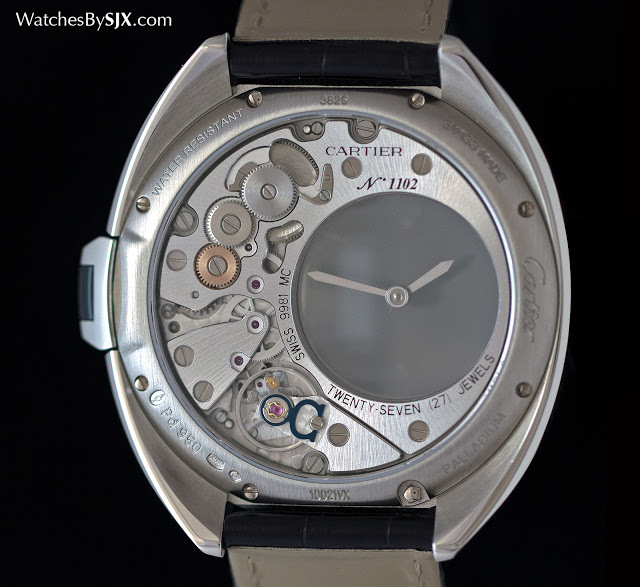 Despite its small size, the hand-wound 9981 MC movement still manages a respectable 48 hour power reserve. 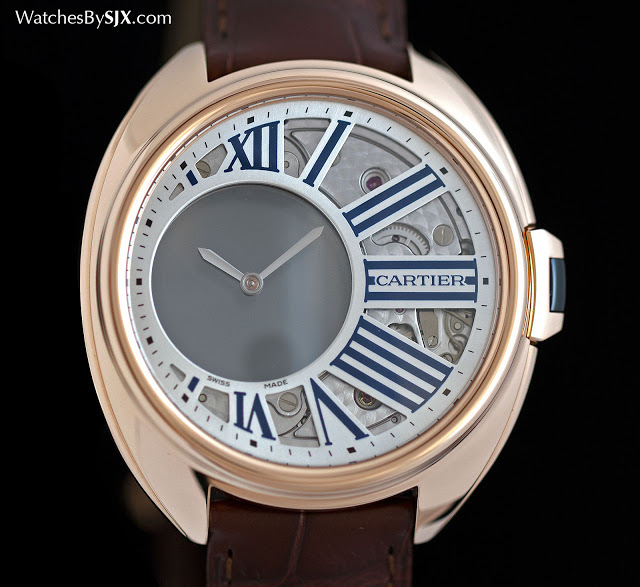 The Clé de Cartier Mysterious Hour is priced at US$64,500 in pink gold and US$68,500 in palladium, a dense white metal that’s a platinum group metal. In Singapore the price is S$88,500 and S$94,500 respectively.